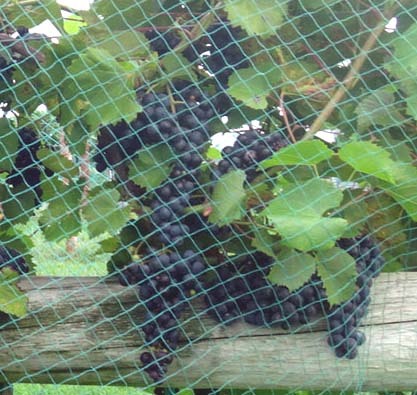 The Marquette grape is a cold hardy, red wine grape variety with excellent disease resistance. The Marquette grape’s high sugar and moderate acidity make it very manageable in the winery. Finished wines are complex, with attractive ruby color, pronounced tannins, and desirable notes of cherry, berry, black pepper, and spice on both nose and palate. Marquette is a cousin of Frontenac and grandson of Pinot noir. It originated from a cross of MN 1094, a complex hybrid of V. riparia, V. vinifera, and other Vitis species, with Ravat 262. Viticulturally, Marquette is outstanding. Very good resistance to downy mildew, moderate susceptibility to powdery mildew and black rot. . Its open, orderly growth habit makes vine canopy management efficient. Click here to view the commercial we produced for the Marquette grape.